Chelsea successfully achieved her Advanced Maintenance Electrical/Electronic Apprenticeship at National Grid, Isle of Grain and has been progressing further and further! IPS caught up with Chelsea to see how her Apprenticeship has helped since achieving. Chelsea continued her employment with National Grid and has recently been promoted to a managerial role and encourages and supports other apprentices within the company. Chelsea was already registered to be an apprentice, so started to search the GOV website: www.findapprenticeship.service.gov.uk to see what was available and the National Grid Engineering Apprenticeship had been posted. Since achieving her apprenticeship, Chelsea has gone on to complete a Higher National Certificate in Electronical Engineering and spent 3 years in the Technician role which her apprenticeship was training her for where she has since gained even more knowledge and skills within. 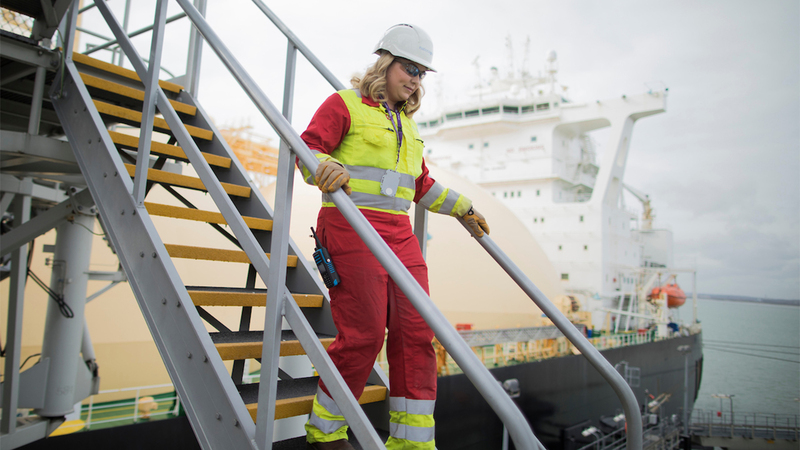 Recently the role of Control & Instrumentation Assistant Engineer became available at National Grid and Chelsea wanted to go aim higher with progression so spoke to her boss and went for the interview of which she was successful with. The apprenticeship has helped Chelsea with her progression and she has progressed to a managerial position at National Grid. Having now been with them for 7 years, Chelsea is really enjoying her work, but would still like to progress further. IPS would like to congratulate Chelsea; after completing her Advanced Maintenance electrical/electronic Apprenticeship, and working in full-time employment, Chelsea has recently progressed to a managerial role and we wish her every success in the future!